Le Physique | Vancouver Personal Training | Train the Trainer and fundraiser success! 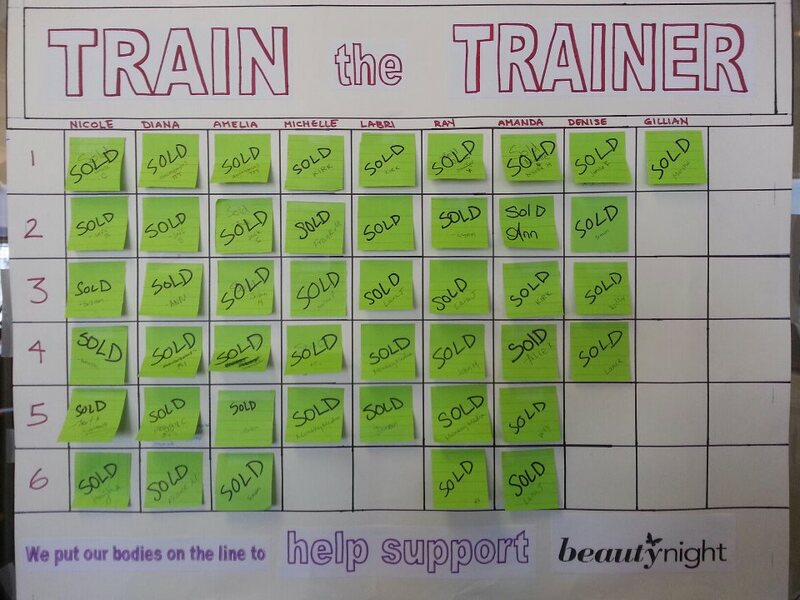 Train the Trainer and fundraiser success! So thank you for coming to our little shin-dig and enjoying some fab food, wine and trainer torment. Oh, you missed the Train the Trainer part? Who doesn’t love an opportunity to get revenge on the person they pay to bring them pain, er I mean…results? But honestly, we know you love it but it probably only works because no matter how mean the exercise was that you picked, it all goes to a great cause – Beauty Night Society. We invited Caroline McGillivary, Founder and Executive Director, to come in and share with everyone a little bit more about Beauty Night – I have to say her story moved me (and several guests) to tears, and my re-telling it could never do it justice! Caroline took us to the moment where the idea for Beauty Night was brought to life. Volunteering at a shelter in Vancouver’s Downtown East side (DTES), Caroline was researching for a short film that she was working on. The women that came to the shelter were no strangers to violence, homelessness, mental illness, hunger and isolation. One night Caroline observed one woman show no interest in food, some of the services offered or counseling. She only wanted to “feel clean” and asked to have a shower. While going through the donation supplies, she pulled out a curling iron, but couldn’t lift her arm high enough to do her hair own because she had been so badly beaten. Caroline stepped in and offered some assistance, even cautioning her, “I don’t know how to do hair!” but through this simple gesture, they laughed, they bonded and the basis for Beauty Night was born. Founded in 2000, Beauty Night is an award-winning, volunteer run charity, one can only imagine the massive impact this has on both the participants that attend, and the volunteers. Caroline and her team provide their services 4 nights a week to impoverished women, youth and seniors on the DTES. Their goal is to allow women to experience a safe and empowering environment where each individual is treated with dignity, respect and learn life skills…while getting a little TLC. To be honest, when I first heard the word “makeover” the idea didn’t really connect with me because of those terrible “reality show makeovers” (and of course, “reality” television isn’t reality. I should know better, I was in one!). I thought, “hmm, makeovers for women on the downtown east side? How is that supposed to help anyone?” but I realized that I almost brushed off something that would come to touch my heart deeply. I learned that there is a focus on providing participants with the opportunity to learn life skills needed to overcome hunger, homelessless, increase confidence and empower them to begin to transform their lives. In conjunction with trained volunteers and health care practitioners they are able provide health services such as acupuncture, massage, exercise classes, TB testing, diabetes and Pap awareness. I think this next point is what probably got to me the most – many of these women are reintroduced to what Caroline calls “healthy” touching. So many of these women have only experienced touch founded in the energy of abuse, violence, sexual manipulation… or on the other end of the spectrum, touch tinged with fear or no touch at all – being completely isolated and losing connection with another human being. Through the “simple act” of hair cuts, manicures, pedicures (this is really huge for diabetes awareness, too) and makeup application, the impact on these women is for them to learn what it’s like to be treated as a human being, cared for, respected and supported. With 500 volunteers, having performed well over 12,000 “makeovers,” and what I think is super cool – the fact that many of the current volunteers are *previous participants* and that many of these beautiful people that have used the service have moved on to other organizations for employment and have become leaders in their own community – that totally rocks. Aphrodite’s Cafe in Kitsilano – Can you say organic pies and goodness? LadySport – THE experts in athletic shoes – we won’t send you anywhere else for shoes and apparel (unless you’re a guy that isn’t interested in women’s runners, then we’ll send you somewhere else). Chakra Wellness – holistic yoga company that specializes in yoga, with services from private to group classes, teacher training, chair massage and my personal favourite Thai Yoga (Alecia is amazing). 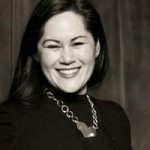 Marlyna Los Feng Shui Master – one of my favourite ladies that takes the mysticism out of Feng Shui (c’mon I’m chinese, I love this stuff), and combines it with a solid practicality that really makes a difference in personal results and business prosperity. Caroline McGillivray – certified and experienced pole dance instructor – oh my! Open Stage Acting Studio – Vancouver training center for professional and non-professional actors. Adina Neufeld – Stylist with Stella and Dot – offers styling with accessories to help your inner and outer beauty shine. Gillian Morrow M.A.T. – our in house Muscle Activation Technique specialist – we love Gillian! Dawn Leonard, RMT – with over 17 years experience as a registered massage therapist, a dancer for over 20 years, her passion is helping women thrive. Daphne Chan Photography – glamour and boudoir photographer in Vancouver, that helps you change the way you look at yourself by helping you create beautiful and timeless images – yum! Center for Optimal Living – Dr. Sukhi is a chiropractor passionate about bridging the science of health, spirituality and human potential, located in West Vancouver. Allison Braun Bedroom Joyologist – yes you read that right *bedroom* joyologist. Just click on the link help you let go of people pleasing, “shoulding” and expectations so they can experience the joy, playfulness and deep connection they desire – in and out of the bedroom. Red Tree Wellness – Sonia Tan D.T.C.M. and her team’s approach is natural and drugless, to help you feel healthier, happier, and improve your quality of life. Granola Girl vegan, organic, full of tasty goodness and locally owned / operated! Did you get your sample? Alchemy of Light – the extraodrinarily talented and accurate Marina at your service. A touch of the spiritual and intuitive to guide your way. Conscious Table – Did you taste it? The really amazing organic food at our event? Jill Boadway, culinary chef and coach was the inspiration behind our spread – donating much of her time and skill to the fundraiser? You must hire this woman for your next event!